SCS Concept Americas, LLC was born the 1st of August, 2015. Established in the Great Lakes State of Michigan, USA, where the industrialization of the US automotive industry was born in the city of Detroit. 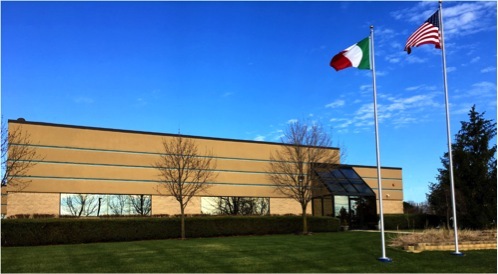 Our facility is located in Auburn Hills, where we are surrounded by the big 3 US automotive OEM’s and major TIER 1 headquarters, manufacturing facilities and supporting suppliers, where approx. 2.5 million vehicles are produced by the big 3 from 12 final assembly plants all within a 65 mile (100km) radius from our office. The North American auto industry is on target to produce over 18 million vehicles, the volume being split approx. 70% in the USA, 20% in Mexico and 10% in Canada. Naturally our first priority is to establish ourselves within the automotive vertical of which some 16 manufacturers are represented in North America, today. But N.A. market is a very diverse industrialized landscape of manufacturing, that we view as 5 prime verticals markets that we plan to grow within. Service, Calibration and Consultancy to the above. Our approach is to work with and nurture a strong group of channel partners whom have a focus and are willing to invest in the Quality market. Develop programs that establishes our products and associated offering’s as prime choice with our target customers and markets by delivering sustainable value through productivity, enhanced process methods leading to greater quality thus delivering a more effective product to their end users. The facility today is approx. 5600 Sq. feet and is evolving with the addition of service and calibration capabilities. A showroom / demonstration room where we can exhibit the power of our product offering to prospective customers. Education is key element and we service this need with a training area where we can facilitate up to 14 persons at a time. Currently we are developing and identifying talent to join our team with key people in sales, service and solution / consultancy roles. With the support of the SCS Group and its established partners in other regions, we are quickly developing a network of immense knowledge that will all share in and will only better service our respective customers today and tomorrow to align SCS as the premium brand in the world of quality assembly measurement products, solutions and services. Sell, market and service best in class production and quality control products, solutions and consultancy fastening / tightening techniques to all market verticals. To be the prime brand of choice within our market verticals and segments by the year 2020 in North America. People – offering an environment where our people are inspired to the best they can be. Passion, creativity, optimism and fun. Our partners – create mutual and enduring value for our customers, nurture a winning channel / distribution network and suppliers. Meet and exceed the expectations of our customers with our evolving products, solutions and services. Productivity – be a highly effective, innovative, lean and fast paced organization. Profit – maximize long term returns to our shareowners, invest in our growth and being aware of our overall responsibilities to our company. Planet – be responsible owners of our environment that make a difference by developing, educating and supporting sustainable communities.